The current Sonoma County Courthouse and Judge’s Chamber is at 3055 Cleveland Ave. in Santa Rosa. This is one of our highlighted projects from the past at LeDuc and Dexter. 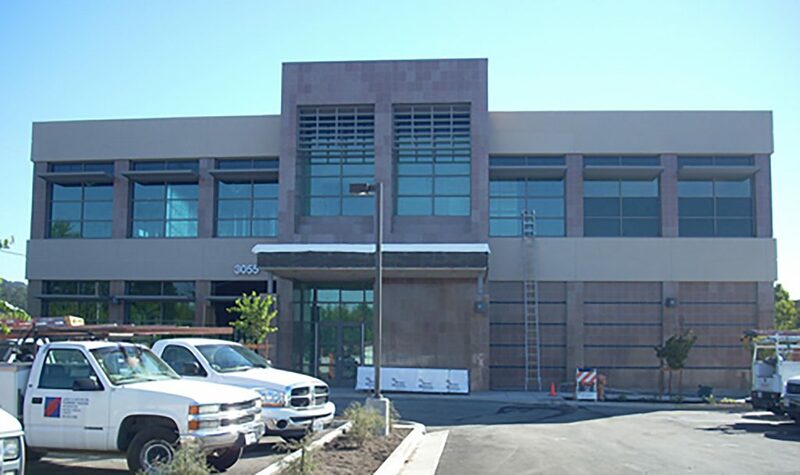 Jim Murphy & Associates(JMA) was the general contractor on this project. The Courthouse is right next door to Empire College, a well-known law school. 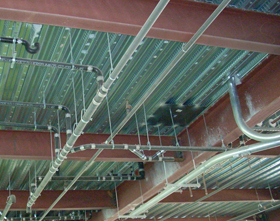 LeDuc & Dexter, Inc. was the plumbing contractor when the school was built in 2000. 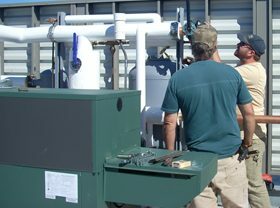 LeDuc & Dexter supplied a Raypak boiler, which was then installed on the roof. LeDuc & Dexter also built a skid for the boiler in their shop and a crane was used to eventually lift the boiler into place on the roof. The boiler supplies hot water for 46 fan coil units, which are placed strategically throughout the building to form the building’s heating system. LeDuc & Dexter installed supply and return lines for this closed loop boiler system. LeDuc & Dexter also installed a separate water heater for the domestic hot water. Additionally, LeDuc & Dexter installed roof drains, gas piping, the domestic water system piping and vents, and Kohler fixtures and trim for the restrooms. The under slab sanitary waste piping was also installed and is now covered by a concrete floor. This was a great project to work on and showed the large scale and complex projects that we can take on at LeDuc and Dexter.